Dan Cullen – our graphic designer and illustrator – recently completed a pen and ink drawing of Bromley House Library in Nottingham. If you’ve never heard of it you’re not alone – it’s a secret library right in the middle of Nottingham. The entrance is through a grand door hidden away just off the Market Square, and once inside… well, the picture above gives you some ideas of the wonders inside. It’s a truly magical place and well worth a visit. 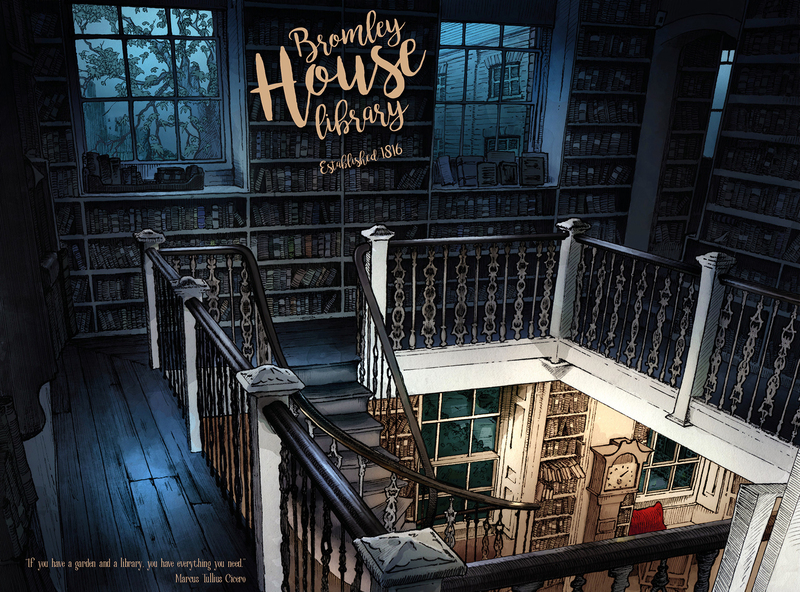 Take a look online – www.facebook.com/BromleyHouse – to find out more. And if you require any illustration, brand advice or design, please contact us for an informal chat.